This post is for the HTB (hubby to be) because he’s always willing to taste just about anything I plate up for him. I thought I’d let him take the wheel and choose a recipe or two for dinner. . He’s always great about trying my new recipes without comment or complaint- and usually ends up liking them too! He chose Ina Garten’s Turkey Meat loaf (page 138-139) which, while not a challenge to “healthify” sounded interesting enough. 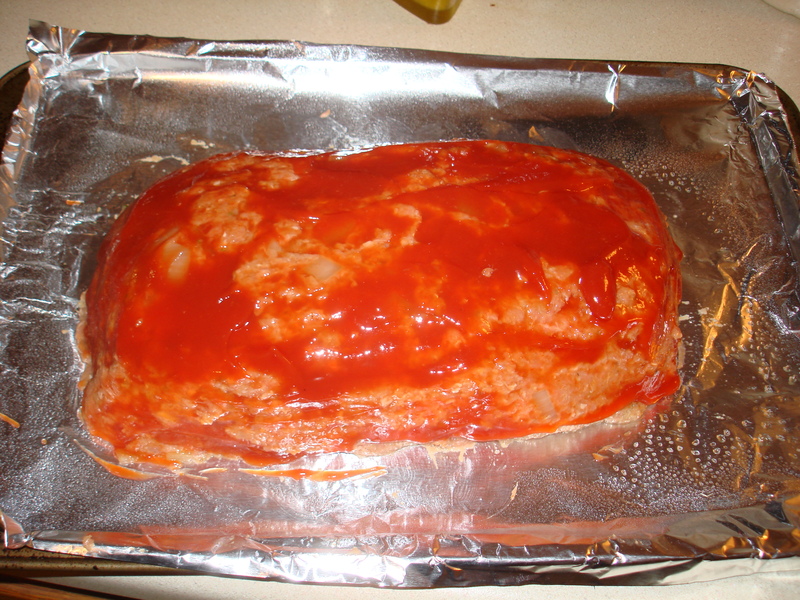 I have to admit that I’ve actually never made or tried turkey meat loaf before this recipe!! 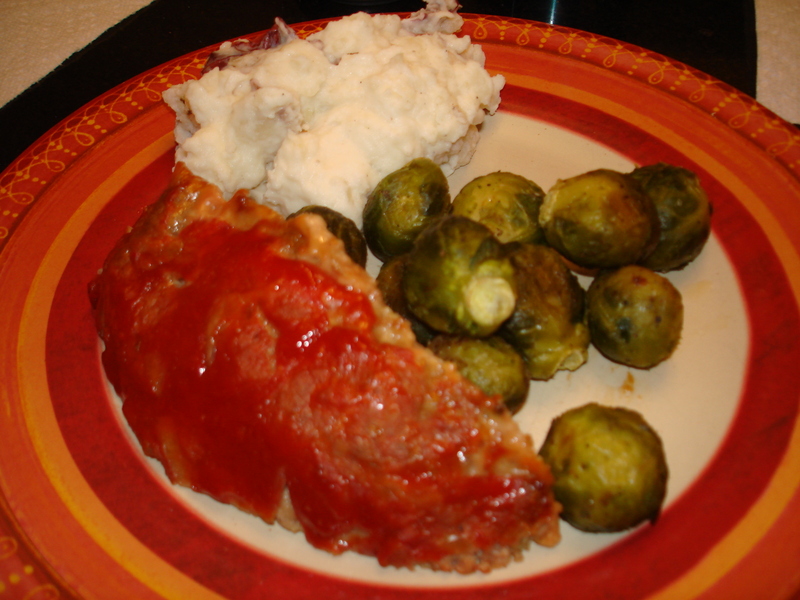 I paired the meat loaf with Ina’s Parmesan Smashed Potatoes (page 158) and roasted brussel sprouts to create a heart-warming, comforting meal. This is would be perfect for a cold November night; imagine coming in from the bitter cold and sitting down to this dish. As before mentioned, her dish didn’t really even need tweaking, I made a half-hearted attempt however for curiosity’s sake. As you can see, not a whole heck of a difference, Ina did pretty well on her own at making this recipe heart healthy! 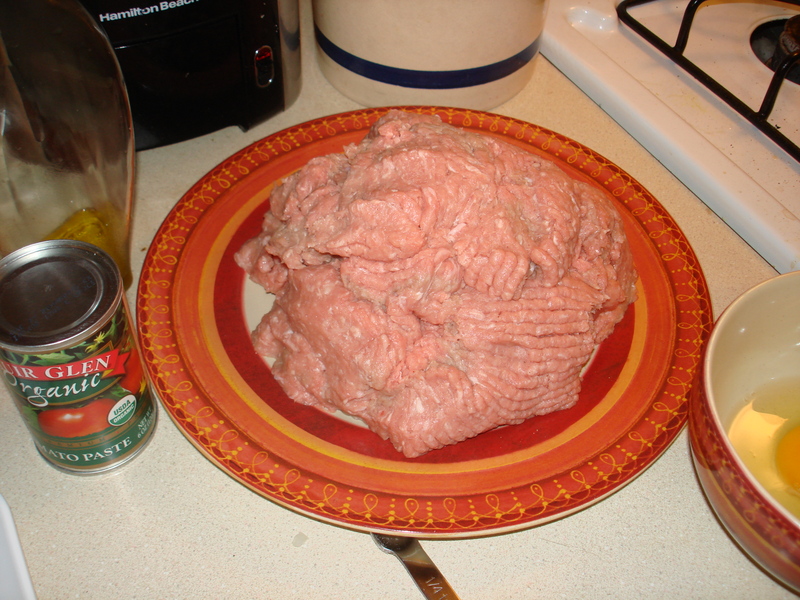 Not only does she use a lean meat such as ground turkey, she uses olive oil and *gasp* no butter!!! The recipe is fairly high in sodium given the Worcestershire sauce and table salt, and it does contain cholesterol from the turkey and the egg yolks but I promise you, in the broad scheme of things, you’re better off with turkey and egg yolks than your standard beef meat loaf. I definitely revamped the mashed potatoes into a less guilty version though- once again, the amazing power of fat-free dairy. 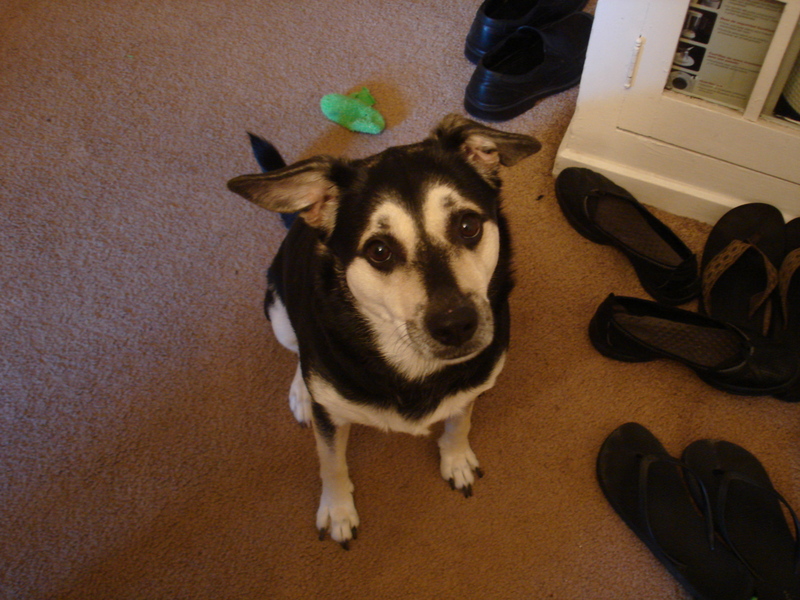 Alright- enough yappin’ already! Let’s see what this looks like in action.. 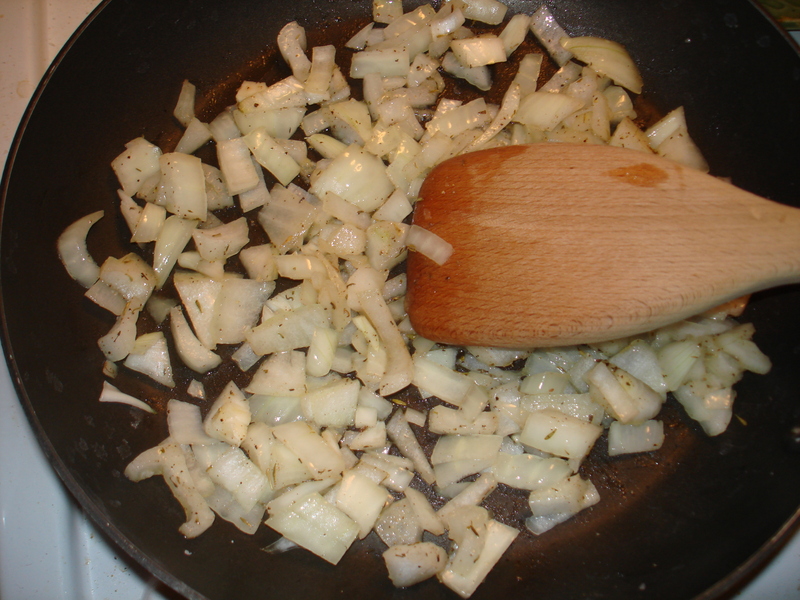 Begin by chopping up the yellow onion and tossing them in a pan with the olive oil, salt, pepper, and thyme. 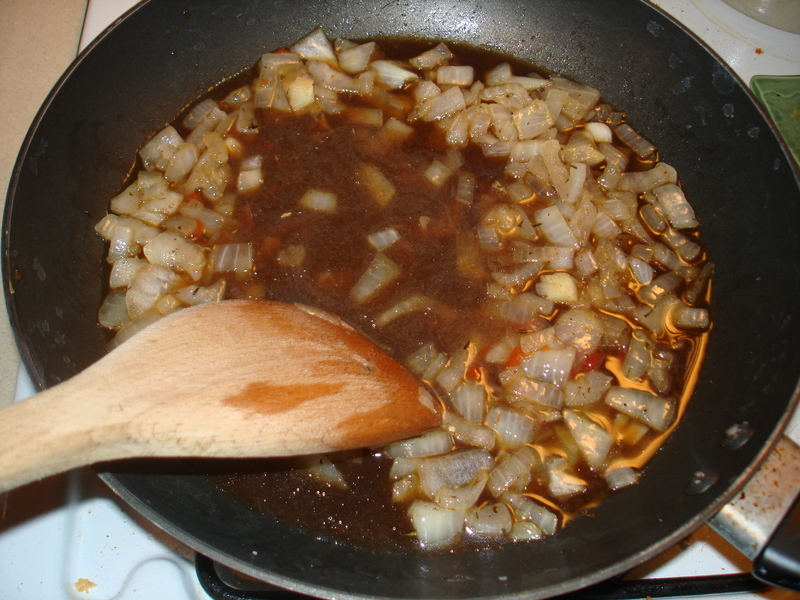 Saute until the onions are translucent. Pour it in with the onions and mix well. It was a raaaather watery so I let it simmer maybe 5 minutes to reduce the sauce. Then I killed the heat and let it cool. Good lord- what a glob of meat, and I cut the recipe in half. It looks like a brain. 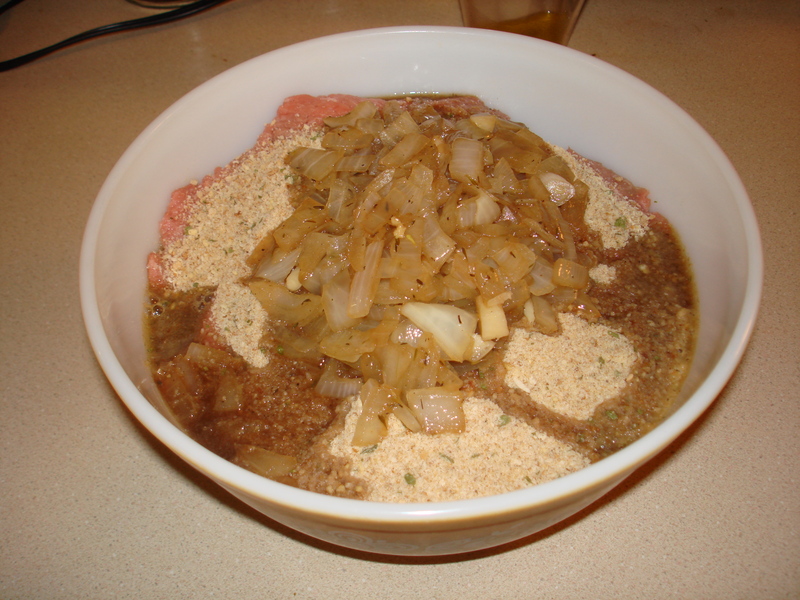 And toss in the onion mixture once cooled. 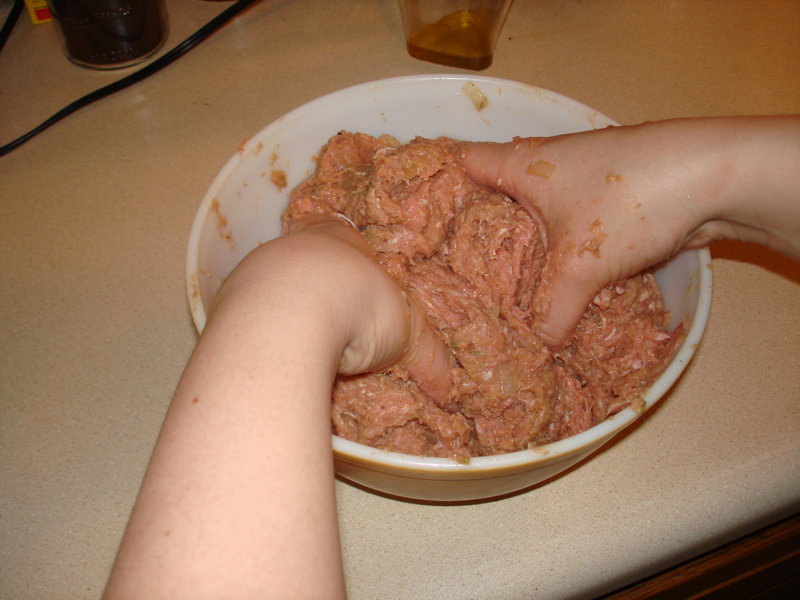 Burn 568.1 calories mixing this gigantic bowl of meat with your hands. There’s something so rustic about rolling up your sleeves and mixing food by hand- just wash your hands before and after or I’ll come after you with a wooden spoon. Oh! Slop all of that ketchup on top and coat all the sides well. Try not to peek and drool too much, heat will escape in doing so. Also- Ina says to bake for 1 1/2 hours at 325 degrees. I unfortunately failed to read ahead and almost wept at the thought of not eating for another 1 1/2 hours, so I ate some chocolate to tide me over. While the meat loaf and Brussels sprouts were baking away, I started the second half of dinner, the deliciously creamy, cheesy, Parmesan smashed potatoes. Wash them well and also cut any huge potatoes in half so that they’re all roughly the same size. 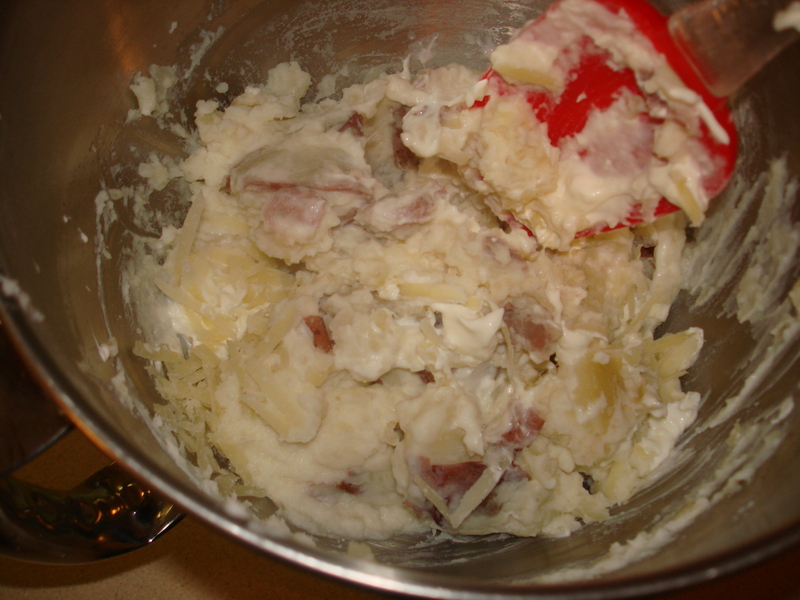 Boil the taters in water for 30-35 minutes, and if you want to be super lazy, use your stand mixer to break them into chunky bits as per example above. 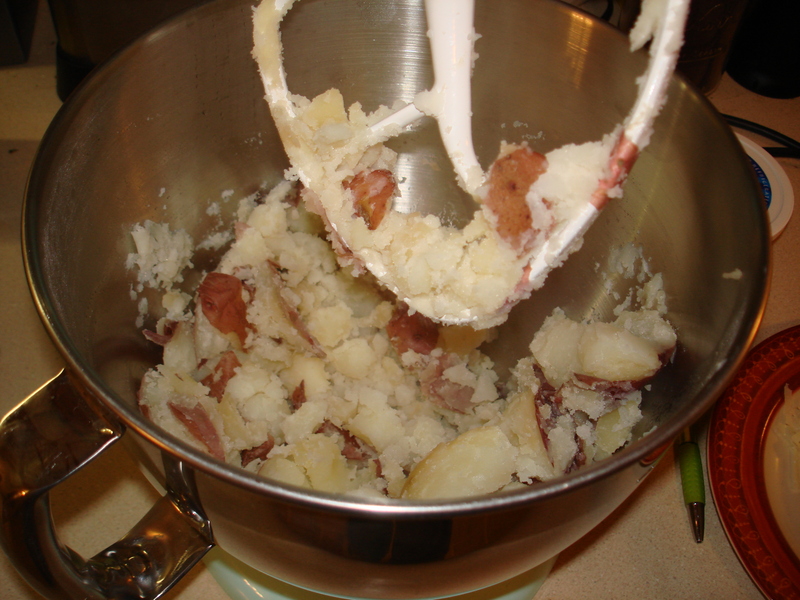 Or use a hand potato masher and smoosh them until you achieve similar results. Using a spatula, stir in remaining ingredients until combined yet still chunky. 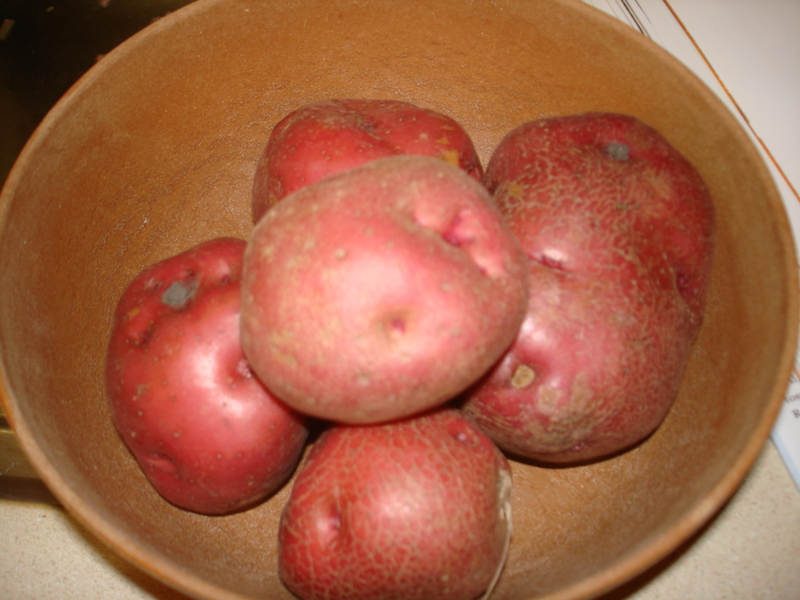 It creates the most creamy, amazing potato mixture that I could have just eaten straight from the bowl without shame. Load up them plates and DIG IN!! This meal will stick to your ribs but NOT to your thighs- just how I like it! This is a meal perfect for letting your family know you love ’em to bits! So let’s see how I did…..
Synopsis: Not overly impressive on my part, but way to go Ina! Not only was this dish amazingly tasty and reasonable calorie-wise, we also had leftovers for days so it was very cost effective to make as well. 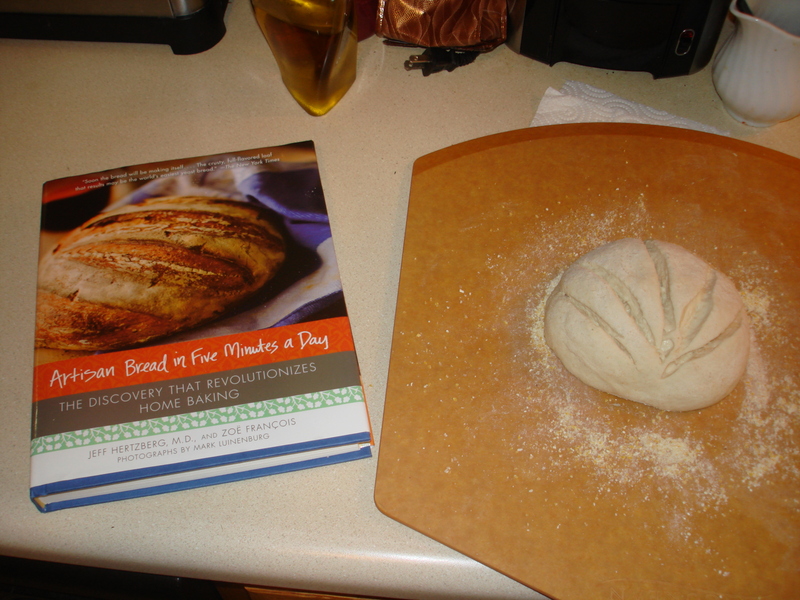 If baking bread by hand is your thing, you have to get this book. It is the easiest, most delicious recipe I’ve ever encountered. I was so impressed with the rustic style loaves I could create from such a hassle-free recipe and it seriously was of restaurant quality in taste/texture. Hi! Remember me? That person who incessantly starts projects and never finishes them? After a five month hiatus involving wedding planning, house hunting, and the general stresses of life and work, I decided that I needed to get back to a past-time I really enjoy and find relaxing. Also, since therapy is too expensive, cooking it is! So, dear Ina, I’m back. The recipe is actually one my sister-in-law picked out a month or so back when she and I tried once a week to cook a recipe and compare notes and opinions on the dish. She chose Ina Garten’s Cheddar Corn Chowder (Page 74-75 in “The Barefoot Contessa Cookbook”) which, for lack of love for corn chowder, I wasn’t too excited about. But, I’m an adventurous soul so I decided to give it a go. First of all, can it be said that chowders and bisques have to be the most fattening, rich, and sinfully delicious soups on the planet? Heavy cream, butter, and cheese- oh my! These dishes rely heavily on the creamy and savory flavors of fat-laden dairy products to support the main star of the dish (such as clams, lobster, corn, etc.) With this already in the back of my mind, I found the idea of “healthifying” Ina’s dish a little daunting, but after reading through the recipe I realized it’d actually just be a ton of fat reduction- without sacrificing taste of course. I halved the recipe because the yield was for 12 servings and I absolutely hate eating the same thing for lunch and dinner for eternity. Ina recommends fresh corn, however, it’s Pittsburgh in April so that’s just not going to happen today, mmmmkay? Next, I diced and chopped all my veggies, I’m a firm believer of mise en place and like to prep everything before beginning any cooking endeavor. Actually, I used scissors to cut the bacon because I find it ridiculous to even try cutting bacon with a knife of any size or level of sharpness. Now at this point in the recipe, Ina says to 1) fry the bacon IN the olive oil, and 2) leave all that fat in before adding the onions. What the…. That’s just excessive. Therefore, I omitted the olive oil- if there is ONE food on this planet that doesn’t need fat added to the frying pan to cook, it’s bacon. I’ll revisit the idea of point 2 in a moment. 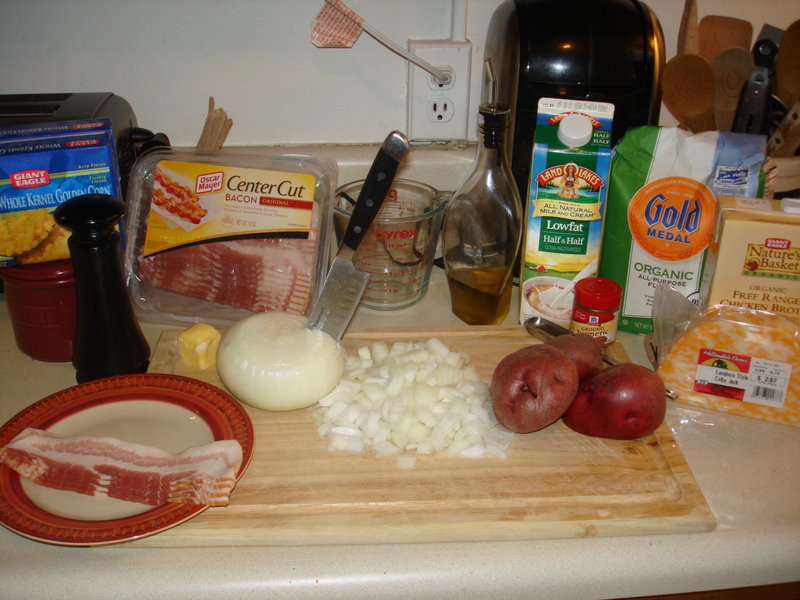 Once all my items were ready, I went ahead and threw the bacon in the soup pot and let ’em fry away until they were browned and crispy- I cannot believe I forgot to take a picture of the BACON! Where is my head these days… I then removed the bacon with a slotted spoon and let it hang out on a folded paper towel. Alright, now here is point 2, the moment where I had a quite heated inner dialogue over whether or not to keep the bacon grease. Shut up, it adds flavor. So I compromised, (with myself?) and poured out the bacon grease, but didn’t wipe the pot clean so that whatever little browned bits of flavor that were left stayed for the party. 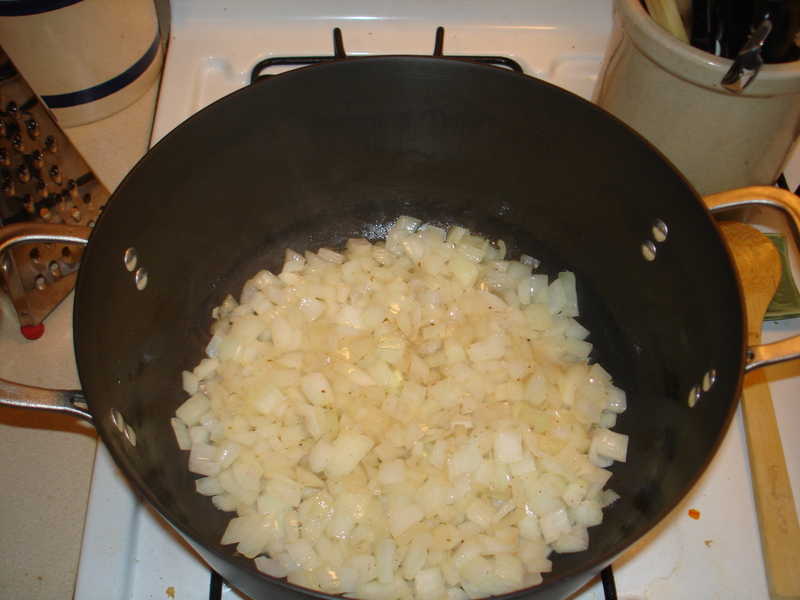 I was somewhat soothed by reminding myself that the onions needed a wee bit of fat to sauté properly. I then made peace with it and continued cooking. I sautéed the onions for about 10 minutes until they were translucent but not browned. The onions got a bit sticky so I added the tablespoon of butter too to prevent any burning/browning. 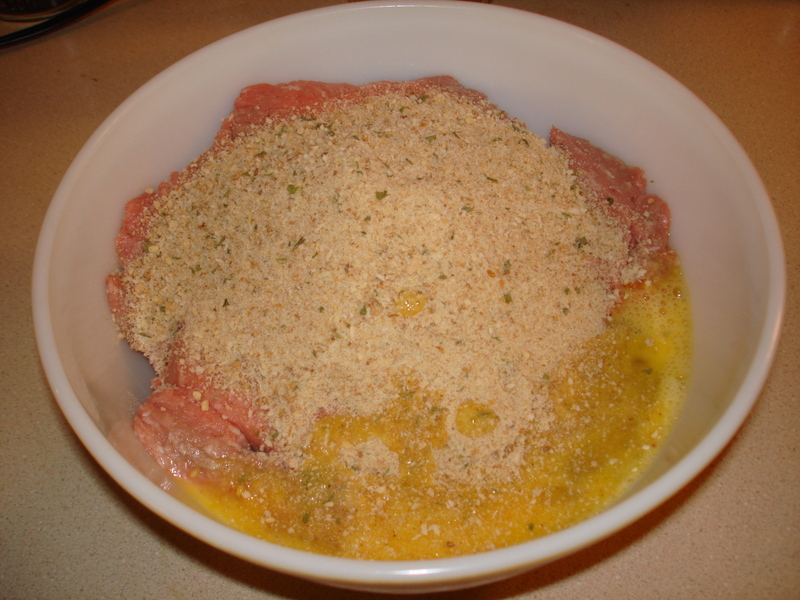 Next I added the flour and seasoning, directions stating to cook for 3 minutes. This part was a tad tricky because the point here is to make a roux, but by omitting all that fat, the flour just gunked up. 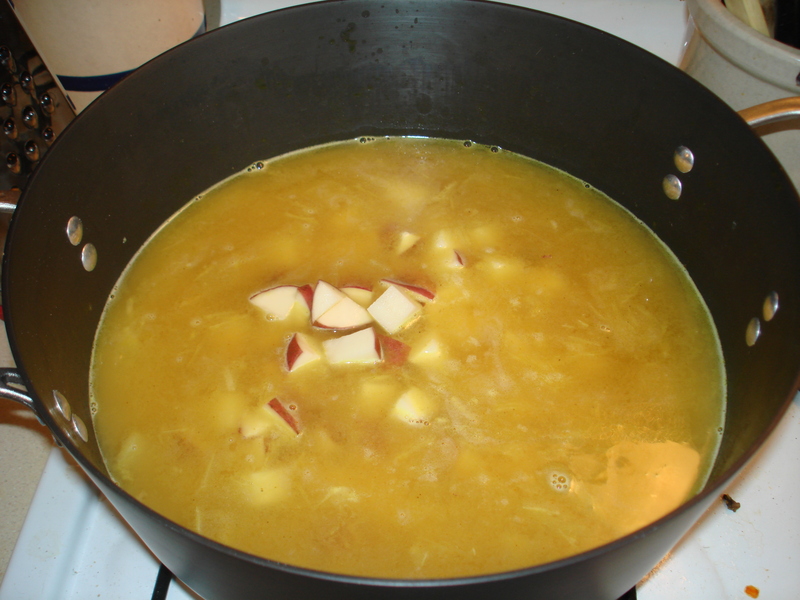 I added a few tablespoons of the chicken broth though and everything turned out splendidly. 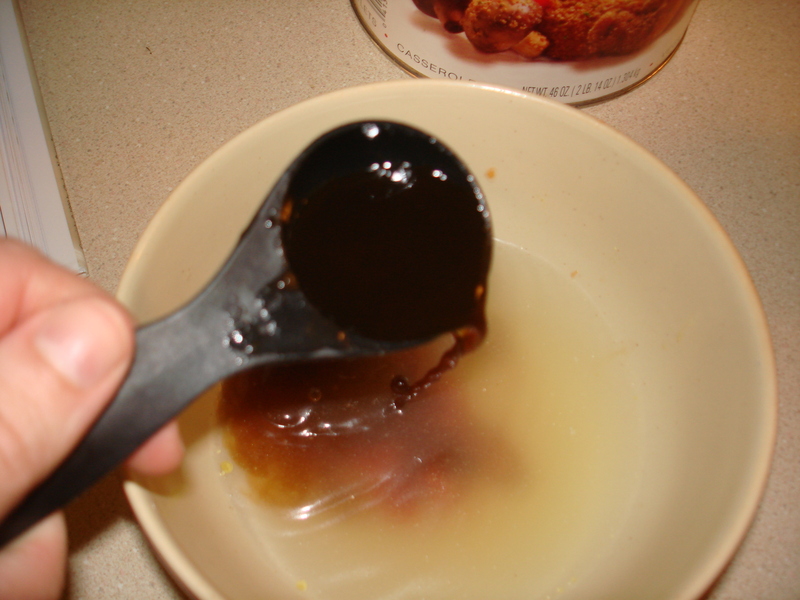 After cooking for 3 minutes, you add in the chicken stock and the ‘taters, stirring to disperse the rouxish paste created. You then bring the mixture to a boil and simmer for 15 minutes, the mixture begins to thicken but still looks pretty uninteresting at this point. 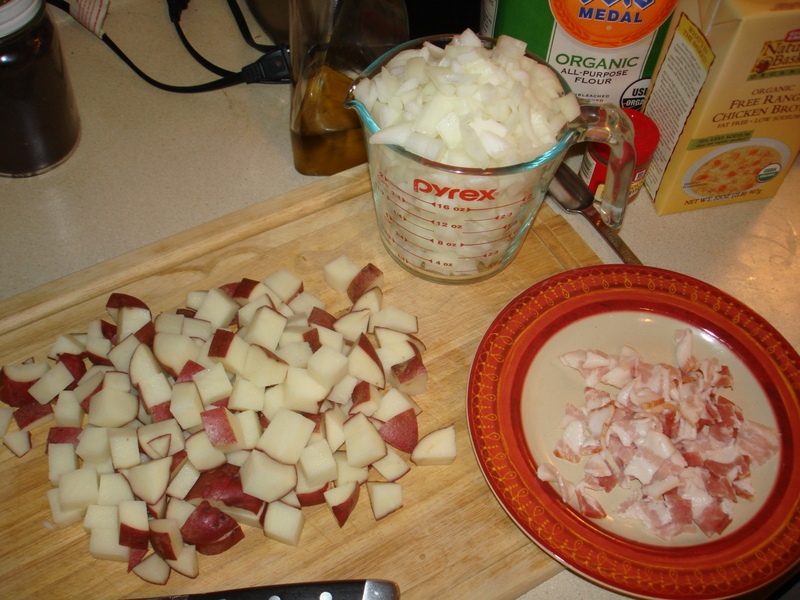 You’re supposed to simmer until the potatoes are fork tender, I used red potatoes so it actually took me 20+ minutes. After adding the big guns, this chowder smelled insane and I had to practice some self control to keep from eating straight from the pot. I let it simmer for another 5-10 minutes to let the flavors combine. 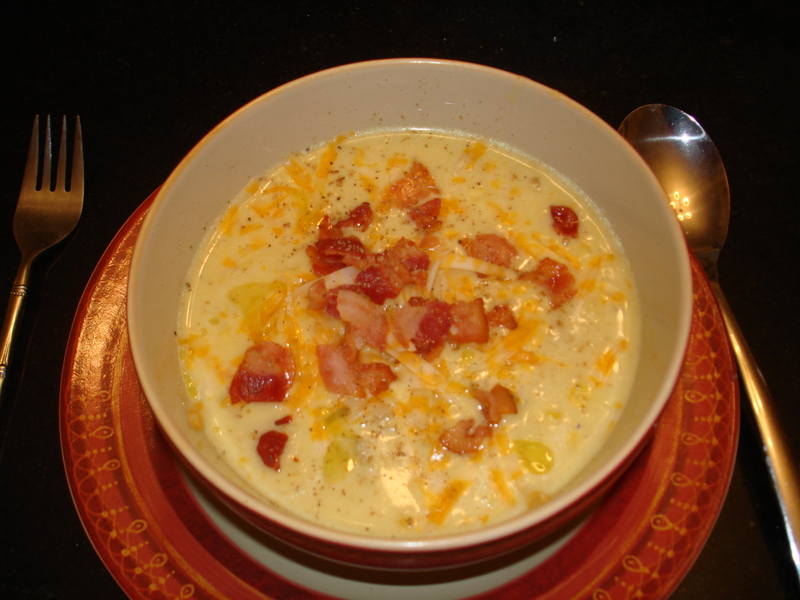 Once it was ready, I ladled out two bowls, garnished the chowder with a sprinkle of shredded cheese and the bacon, and called the hubby-to-be to come dig in. Now I’m not going to lie, due to the serious decrease in fat, it wasn’t as THICK as anticipated, but this dish DEFINITELY did not lack in flavor. It was sweet and savory and creamy and… heaven. 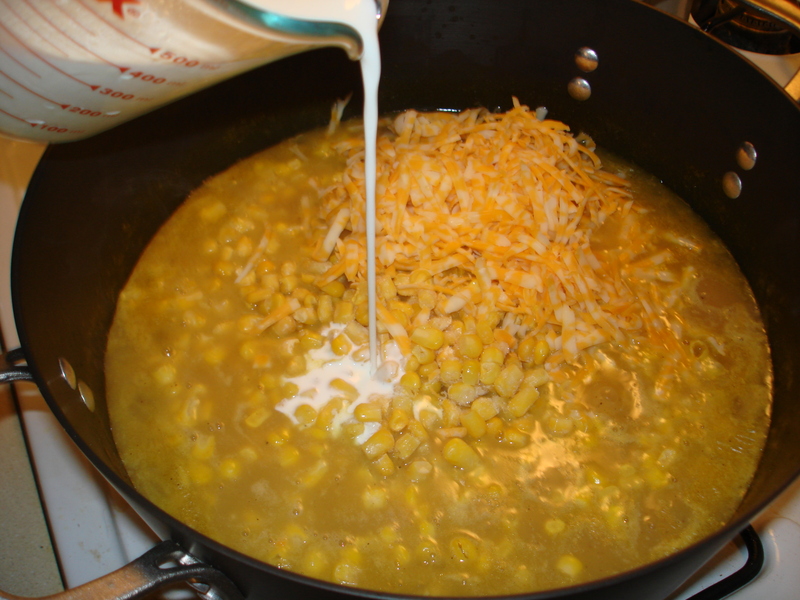 The chicken broth and half-and-half added a nice smooth and savory factor while chewing on the corn kernals made the chowder hearty and sweet. Ohhh and the melted cheese was nice and stringy, you know what I mean, where you get that long delicious strand of colby jack from lip to bowl? uh huh. I highly recommend going crazy with the black pepper, it definitely gave it a nice earthy/spicy kick. Regardless of my attempts to downsize the dish, it made TONS. This turned out to be a god-send however because this chowder gets even better the longer it sets, both hubby-to-be (can we call him HTB?) and I agreed, lunch leftovers were even better than dinner. I had a heart-breaking casualty however, when I stored some of the chowder in a mason jar in the freezer. Evidently, I didn’t leave enough room for the liquid to expand and the jar cracked, I had to throw away the whole darn thing. Please send your condolences. 😦 Whatever, I’m definitely making this dish again. HTB was pleased that the dish was healthy and delicious, a crowd pleaser all around. I love that I’m able to serve good food and let it be more nourishing than fattening for everyone. Let’s see how I did…. Analysis: That’s a 32% decrease in calories, a 70% decrease in total fat, a 71.7% decrease in saturated fat, a 58% decrease in cholesterol, 36% decrease in sodium. I wanted to add in a snippet about this fantastic cookbook I stumbled across, it’s more country/homestyle but WOW is it fun to read and the recipes are delicious too! 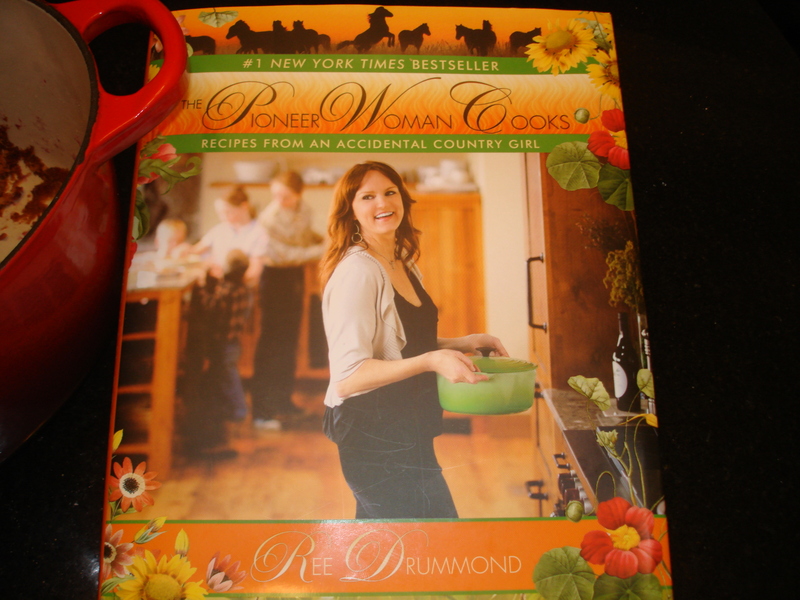 It’s called “The Pioneer Woman Cooks” by Ree Drummond and I’m absolutely in love with it. Incidentally, she makes it known that her recipes aren’t low-calorie either (she reports cowboys work too hard to need low cal dishes, yeehaw! 😉 ) Maybe I’ll add her cookbook to my list of “healthifying” for the non cowboy/cowgirl crowd. 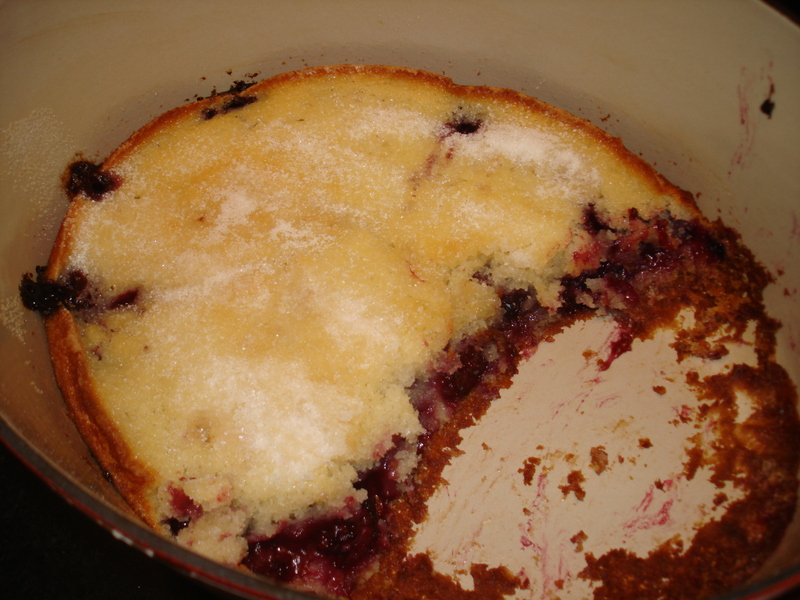 I made her blackberry cobbler… oh my gawd….. Sorry, HTB dug in and served me a bowl too before I could snap a shot. I don’t blame him, it’s ridiculously yummy!! He loves the crusty bits around the side but I’m all about the gooey, soft center. Mmmmm…. 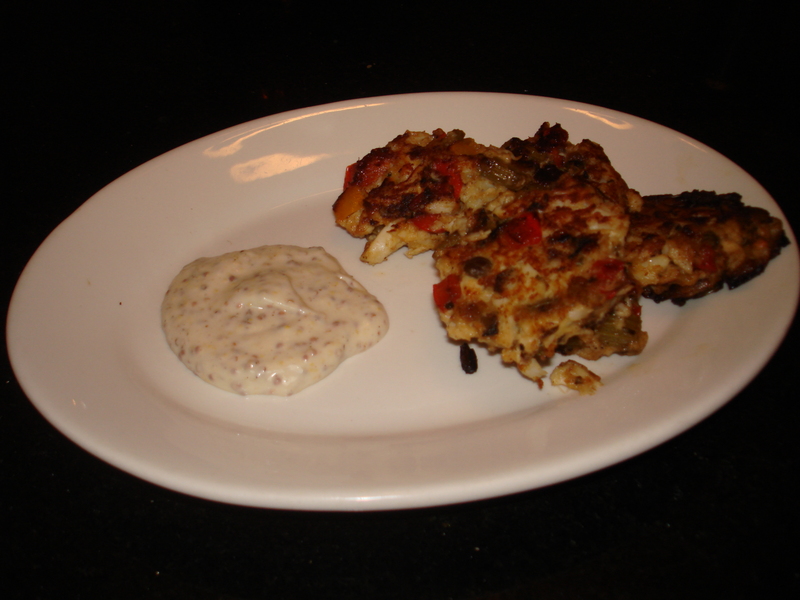 Crab Cakes… or maybe Crap Cakes..
Hello to my few and hopefully faithful readers. I’m aware that this blog isn’t getting off to as quick of a start as I’d hoped, and I sheepishly offer up an apology and a new post. I promise, promise – I’m trying to get my rear in gear but this is proving harder than I originally thought. As far as news in the life of me, we booked our venue for the wedding and have decided on our maid of honor and best man! I’ve spent the rest of my time oogling over my ring (and working)! The picture doesn’t do it justice. We also broke the news to Razor! He could barely contain his excitement. Excuse the shoes strewn around the apartment. We are busy, messy people. Alright, enough of that, let’s get on to the food. Because I’ve been lazy about shopping lately, I skipped the Lamb Sausage in Puff Pastry; and because I’m a major wuss, I ALSO skipped the Lobster Salad in Endive because I’m just not ready to bear up and kill a living ah….. member of the earth. So here we go, page 44 of the Barefoot Contessa Cookbook, crab cakes. Now, I know my title already bodes misfortune and unhappiness, so let me clarify they taste wonderful! I just had a few difficulties. When I say crap cakes, this is not a reflection on Ina’s recipe because, let’s keep in mind, I’m altering items in the dish so this could indeed affect the taste and preparation of the poor crabby cakes. Oh well, live and learn. The recipe also called for 4 Tbsp butter and 1/4 cup olive oil to saute with, which I completely ignored for a few sprays of Pam. I was pretty proud of myself for finding a way to remove oh.. I don’t know…. 75% of the fat from the original recipe, I just wish I’d kept in mind that perhaps some of the items were meant for binding. I sautéed the veggies in the butter and olive oil, and added in the seasonings (Old Bay, Worcestershire sauce etc. – Hey man, if you want the whole recipe google it or get the book, I don’t want Ina coming after me for sharing her sacred secrets fo’ free!) I then mixed the remaining ingredients with the sautéed veggie/seasoning mix and let it chill for 30 minutes. Now ensues disaster. I pulled the bowl of crabby deliciousness from the refrigerator and went on my way of happily forming cute little bite size crab cakes. I soon became disgruntled, however, because the mess was sticking more to my hands than to form into those cute little crab cakes. After much cursing and noises of desperation, I formed enough patties to justify turning on my stove top. I sprayed a liberal dose of Pam in my frying pan and let it heat up. In goes the first batch and I immediately regret overcrowding the pan. Lesson #1 learned. I lose two cakes immediately, the poor things crumbling into a mess of crab chunks and vegetables (and perhaps a few tears). I have four survivors – awesome! Only when I flip them over to brown on the other side, I realize that perhaps the heat may be to high because they’re almost freaken’ BURNT on the other side! Lesson #2, got it. I honestly couldn’t flip them a second sooner because they were so fragile and constantly threatening to fall apart. I repeat everything in the above paragraph for the second dozen, with perhaps a few more tears and expletives. I remember at one point shouting “What the hell Ina! What. The. Hell!” I also burnt myself numerous times because I didn’t trust the spatula and wanted to use my fingers. So, in hindsight, I realize that perhaps leaving the yolks in would have helped bind the cakes more effectively. I think next time though, I’ll cut back on the vegetables (gasp!) because I honestly felt like there were too many loose ingredients in the mix and not enough gooey bits to keep the stupid things together. As far as taste, nom nom nom’s were heard at dinner that evening! The cakes had huge chunks of crab that stood out and were accented, but not overpowered by the salty vegetables and capers. It had a crunchy AND soft texture, and of course had a hint of butter in every delicious bite. I also made the Remoulade sauce on page 45, but that was just so-so, a little too sour for me. So, while the crab cakes looked awful, they did at least taste good. Oh well. Me 0, Ina 1. I did calculate the nutrition facts for this dish and I was appalled by the original’s results, and elated by my results. The dish made 26 mini crab cakes,2-3 per serving. Mine (1 bite size crab cake): 35 calories, 1.2 g fat, 18.2 mg cholesterol, 149.3 mg sodium. So WOW on the fat reduction, meh on the sodium reduction. So to wrap this up, I came up with a few things to tweak in this recipe to make it run more smoothly for next time without adding back in any of the fat. It wasn’t perfect, it wasn’t easy, but after seeing the results in the nutrition calculations, it was well worth it. Hmmm… so perhaps Ina and I are at a tie instead. Until next time, take care my dears! Alright, alright, alright. I’m very aware that it’s been almost 2 weeks since this shin-dig was supposed to take off and I apologize. I’m having two issues currently, 1) Work has been a little taxing lately and I’ve been a lazy slug, 2) My CSA box, while I love it dearly and the food which it brings is fantastic, hasn’t been coinciding with the recipes. 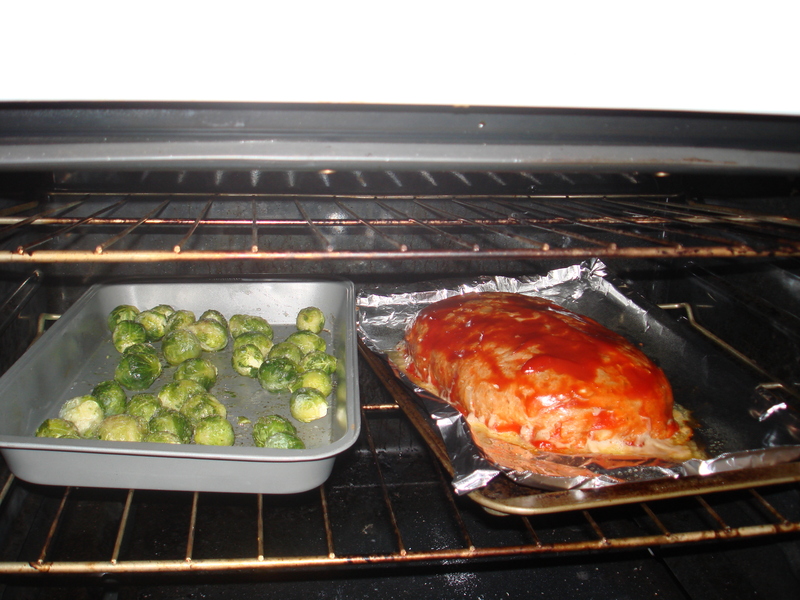 Unfortunately, the veggies have run the show when it comes to mealtimes. 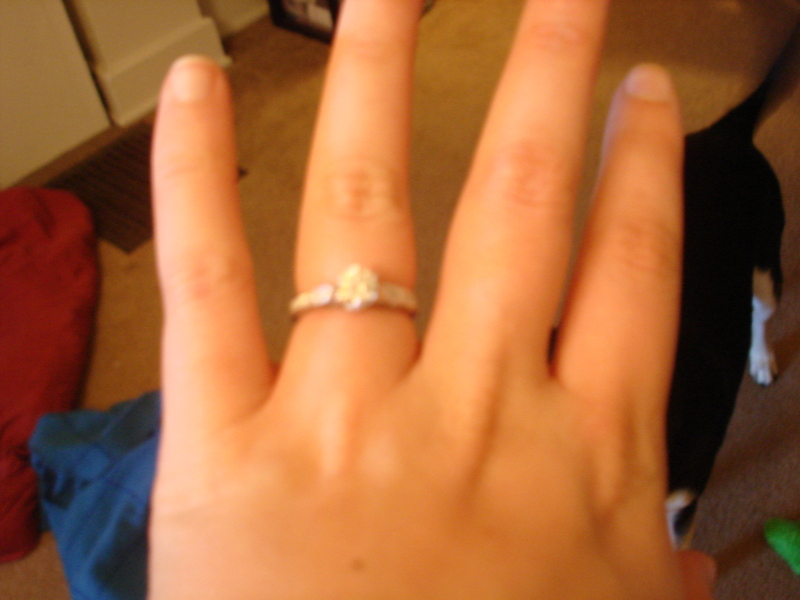 ALSO, my boyfriend of 2 years asked me to marry him on Oct 21st so I have been celebrating!!! While at the place he proposed (which happened to be a pumpkin patch/farm), I was able to score some scrumptious looking eggplant and red bell peppers. With all of that said, I was able to make, incidentally, the first recipe in “The Barefoot Contessa Cookbook”. Well okay, the first is lemonade – but I’ll get to that later this week, mmmkay? I made the Roasted Eggplant Spread on page 41, and it is heavenly. The recipe couldn’t get more simple, I peeled the eggplant and chopped it, the red bell peppers, and red onion into 1 inch cubes and tossed them on a baking sheet. I sprinkled the olive oil, salt, pepper, and minced garlic on top and that, my friends was that. Well almost, after roasting the veggies until soft, I put them in my food processor and pulsed until chunky, adding some tomato paste. It was so simple, no fuss, no stress, and wow is it delicious – and really good for you! I did, however, reduce the olive oil from 3 Tbsp to 2 Tbsp, and sprinkled the salt by hand instead of pouring on 1 1/2 tsp of kosher salt. The idea of putting all that oil and salt on it, in my opinion, defeated the purpose of a healthy appetizer. 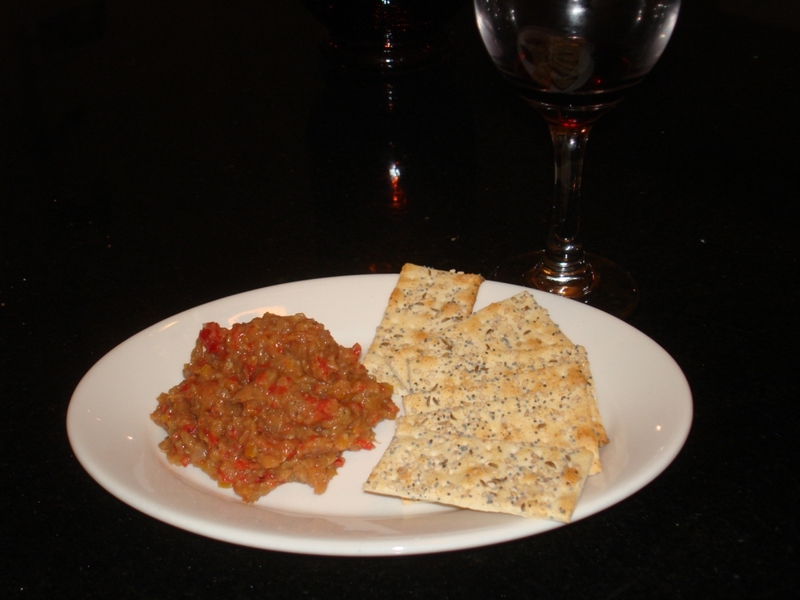 I paired the dip with some flat bread crackers and a tall glass of wine, and I was in heaven. I loved the blend of savory eggplant and sweet red bell pepper paired with salt and a hint of garlic. Some of the reviews on Foodnetwork.com complained of the dish being bland, but I blame that on the over-seasoning of food these days. It’s not over laden with oil or salt, and the flavor of the vegetables really comes through – which is exactly the goal Ina always strives for (or so she says). The only critique I have for this dish, and I’m not even sure how to remedy this, is how it looks. It looks hideous – my fiance was almost afraid to try it. I think the next time I try this, I won’t puree the food as much so that you can obviously tell what is in it. Oh well. It was delicious, easy, and healthy. ’nuff said. If you haven’t already, please read my Introduction tab so that you’ll fully understand what I plan to do for this little experiment/project. Kapeesh? Unfortunately, this first entry will be quite boring as it’s Friday night and I am dog tired after a full day of work. Tonight I plan to go through the entire book however, and count up exactly how many recipes there are. Other than that, however, no progress will be made. I’m sure even Ina has a lazy, sleepy day once in a while. It’s 10pm on a Friday night and all I want to do is go to bed. When did I get so old?